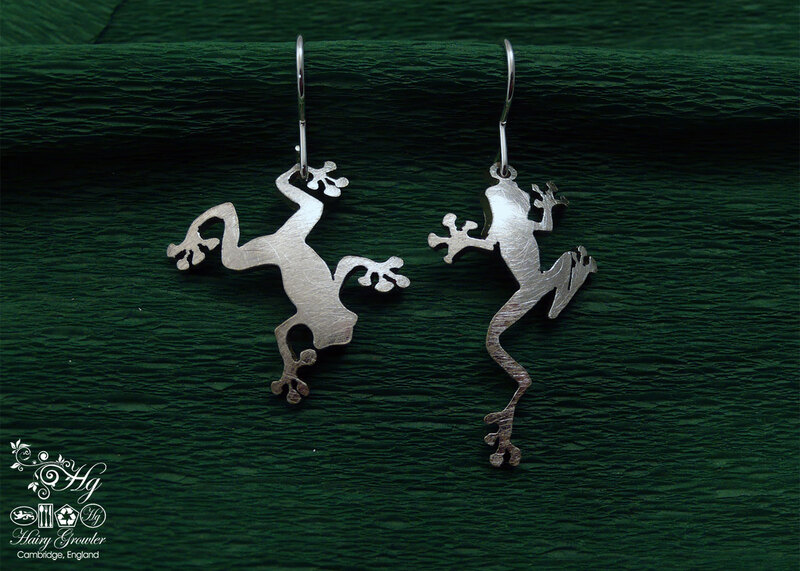 This special frog earring collection has been carefully created for the ranidaphile in your life (frog lover). 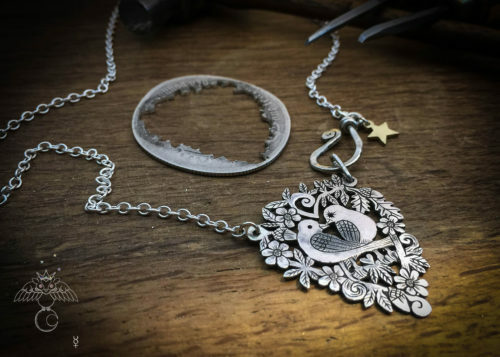 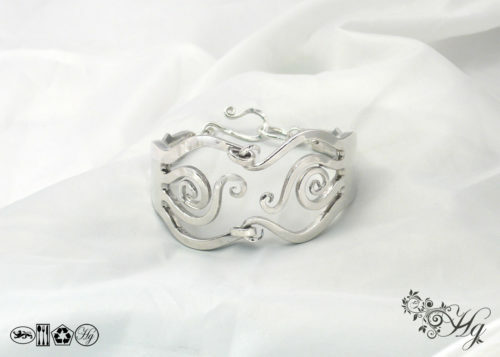 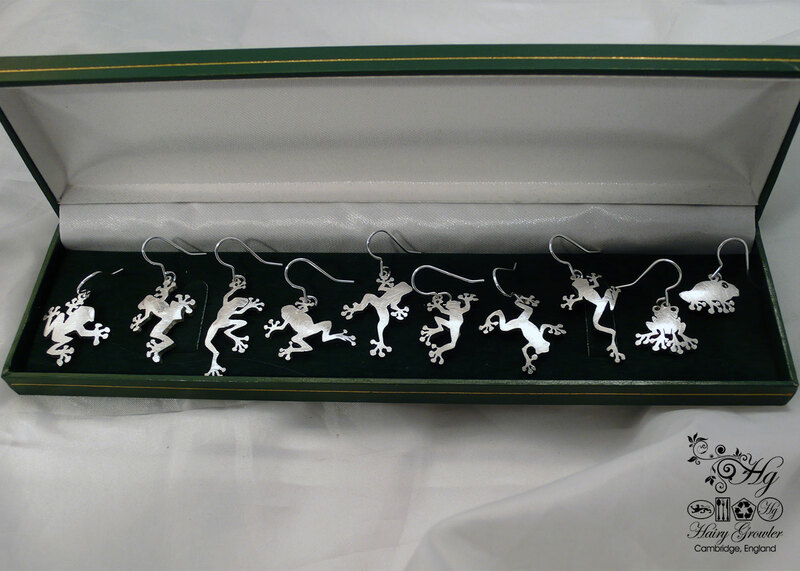 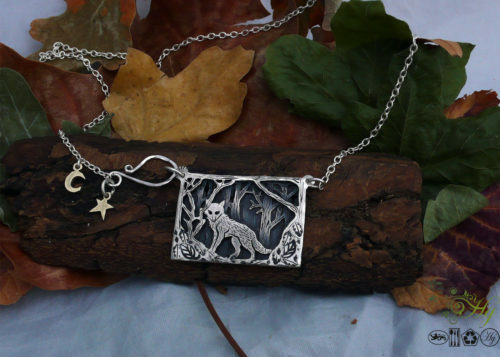 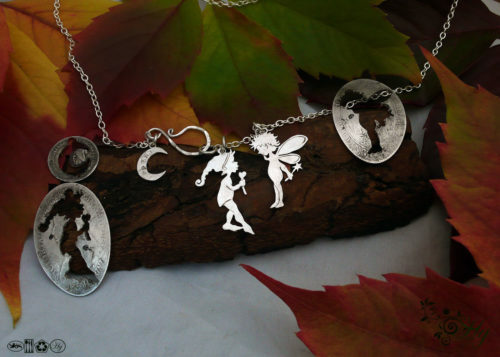 Each individual frog has been hand pierced using a traditional jewellers hand saw. 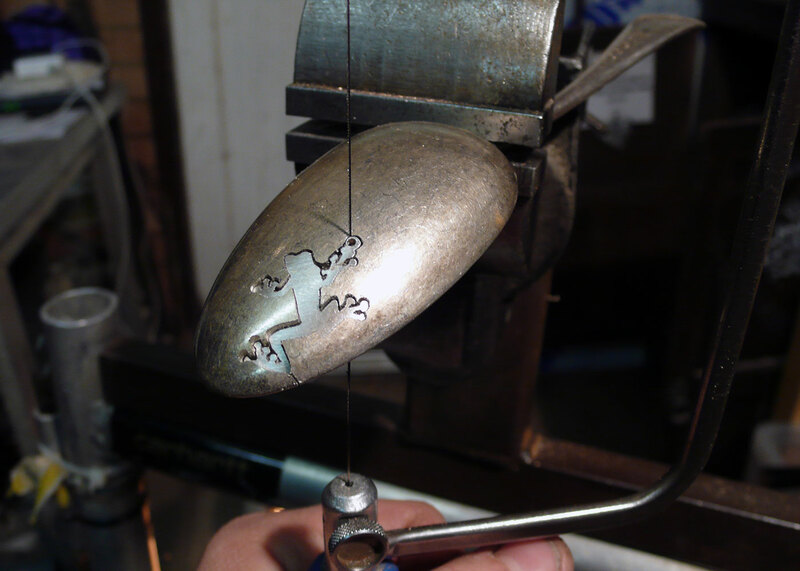 The ‘bowls’ of old antique spoons are the starting point material. 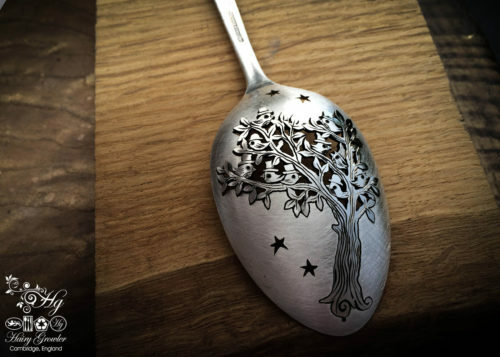 These spoons provide a gorgeous raw material that is not particularly valued as they are lost, not part of a set. 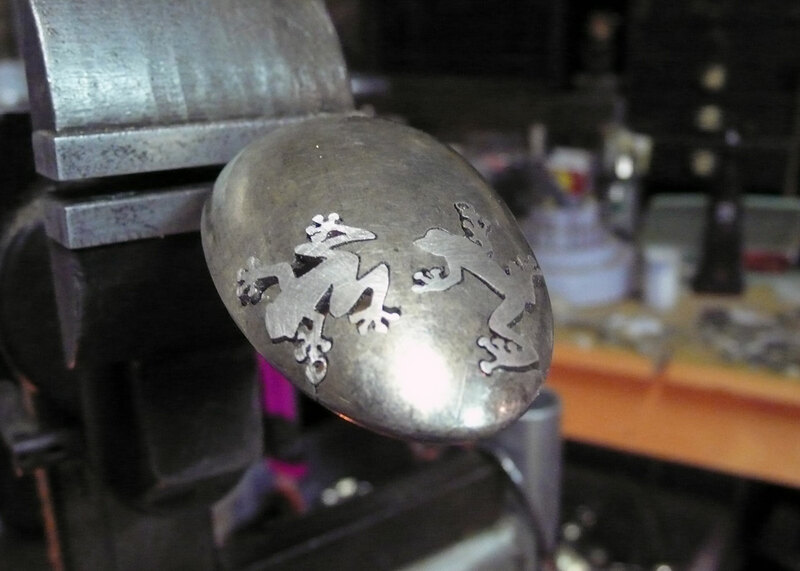 The frogs are individually sketched on to the spoons, then traced with the saw. 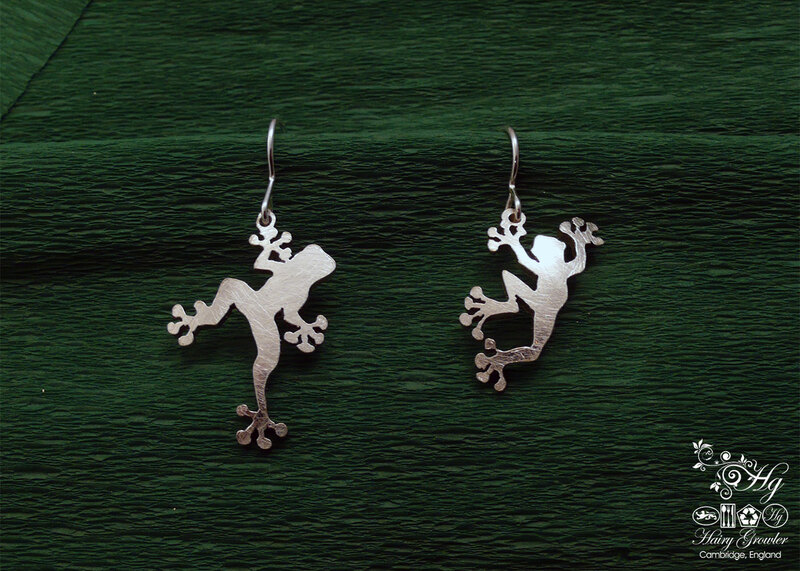 These flog earrings are as bold as they are beautiful, each standing out yet each would work well with one and other… amazing set, would make for an ideal gift for someone that has everything.